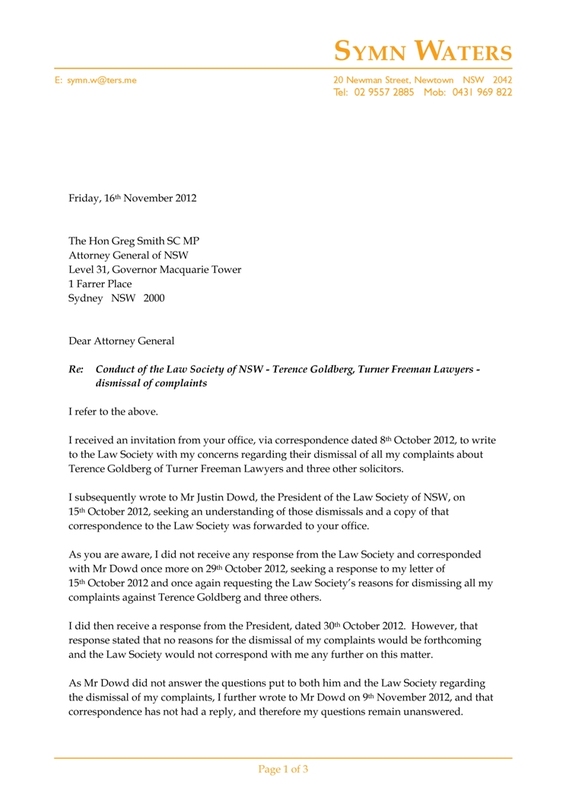 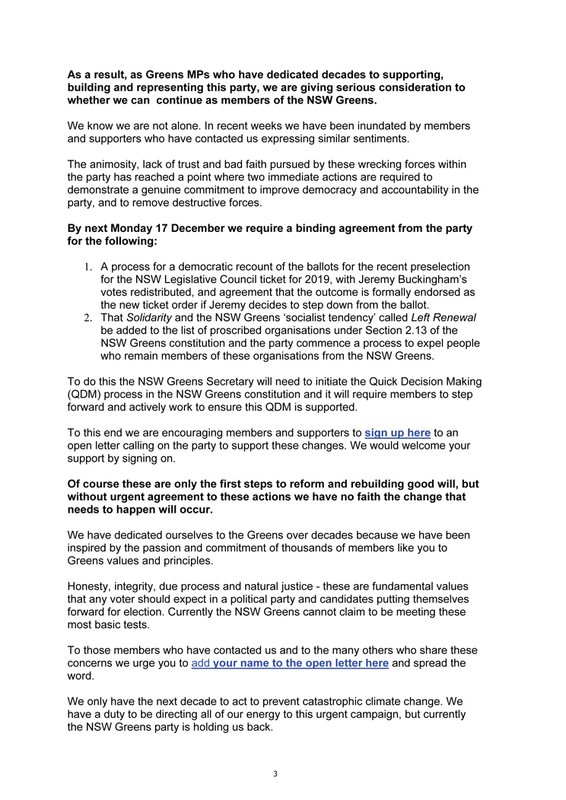 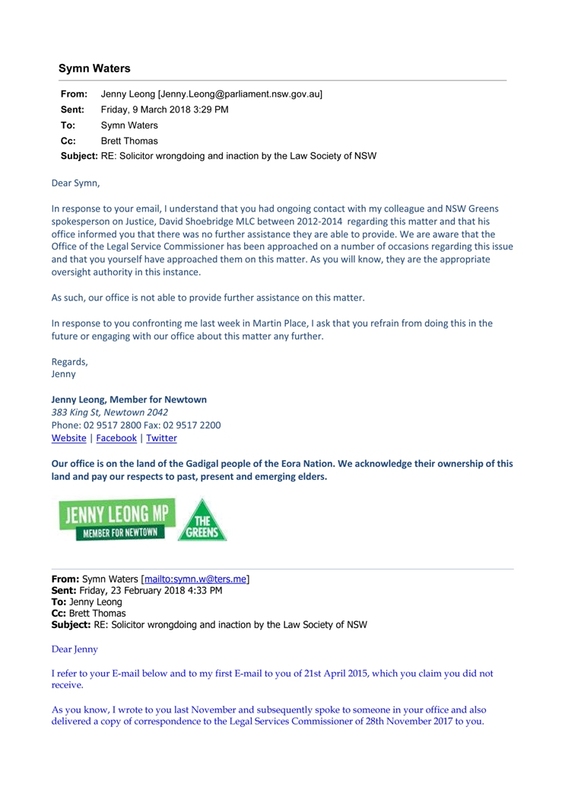 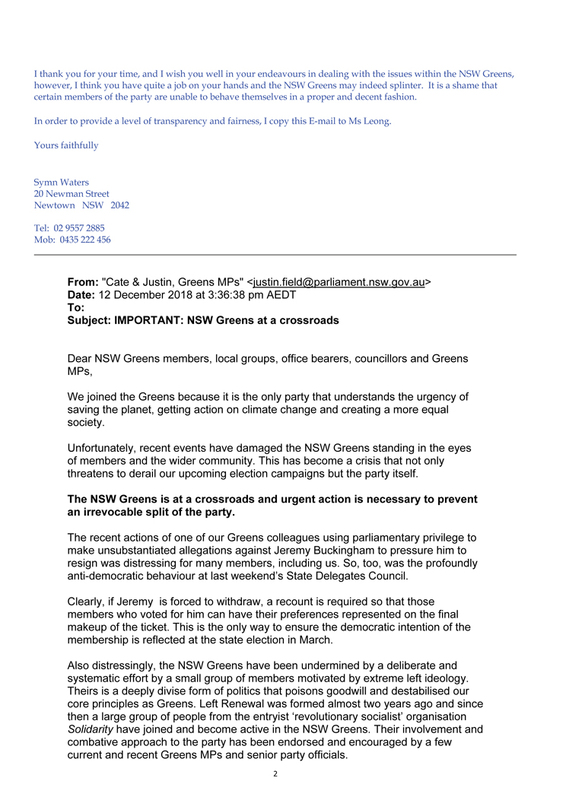 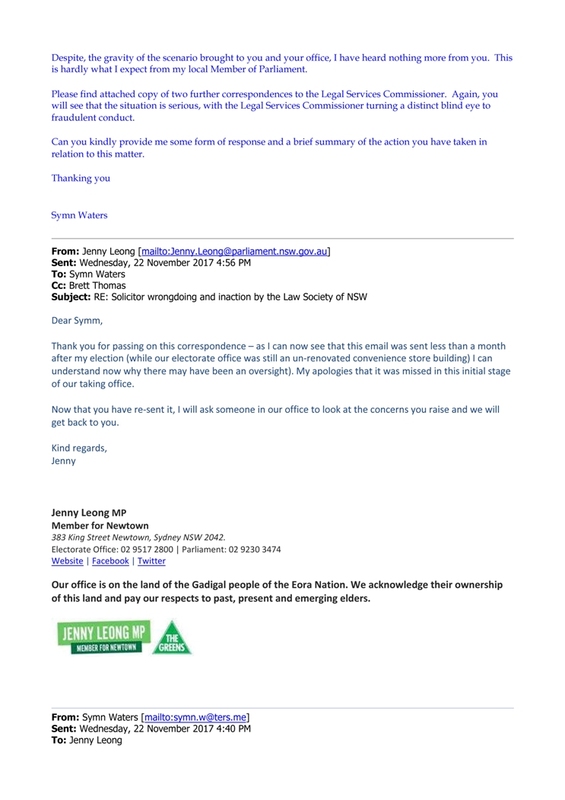 "It is thus: I raised with my local member (Jenny Leong) deceptive conduct of an authority who reports to the NSW Government, and this in turn is met with complete inaction and indeed further deceptive conduct from within the office of that local member. 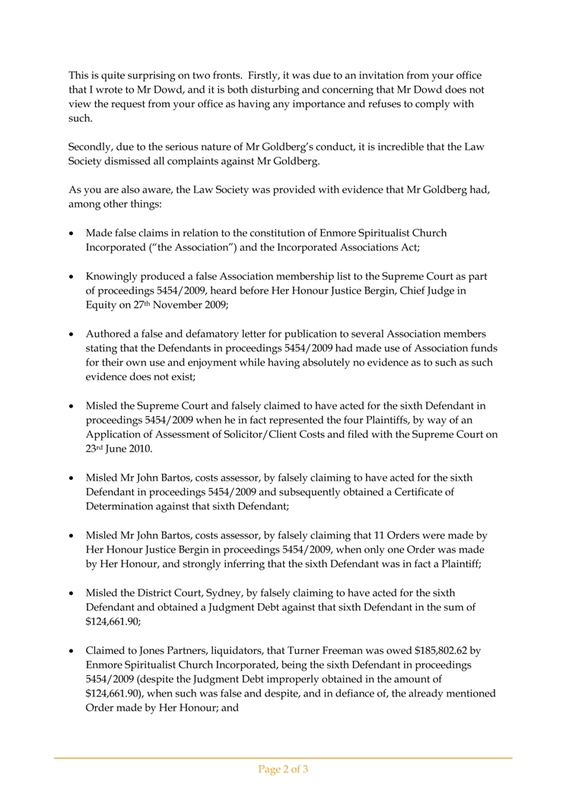 If I had not seen this with my own eyes, I would not have believed it." 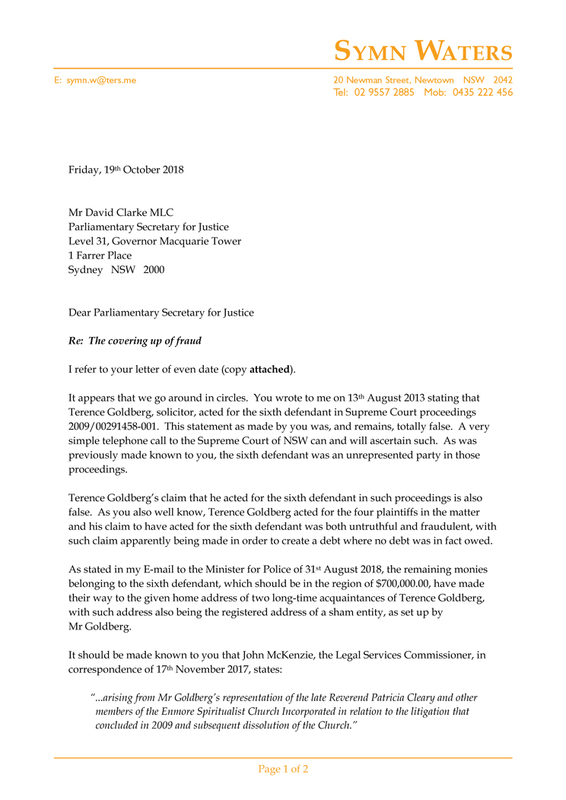 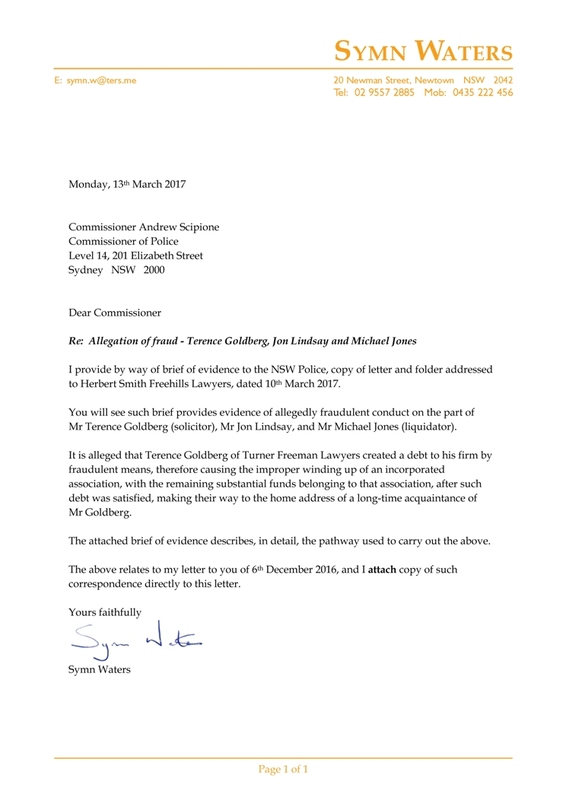 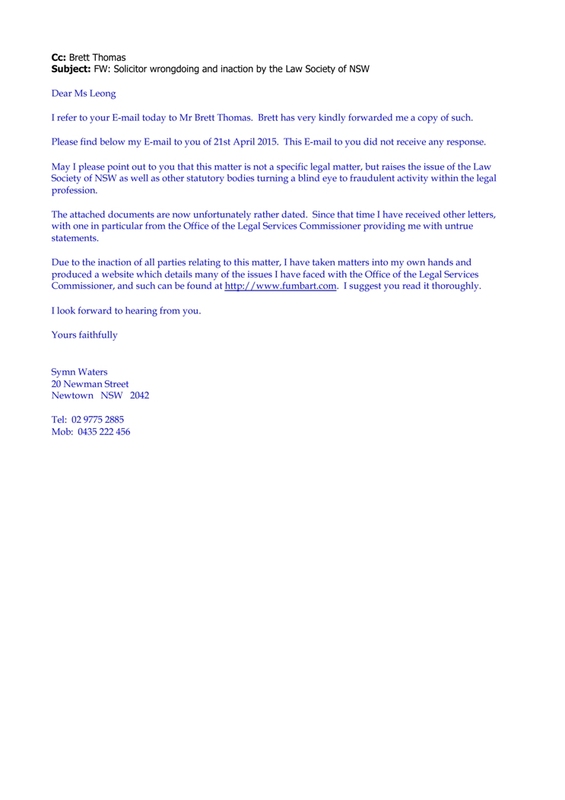 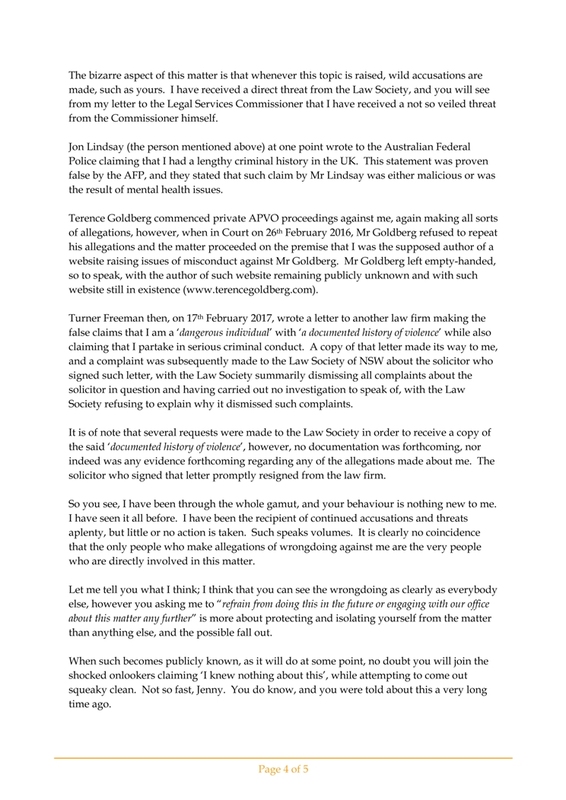 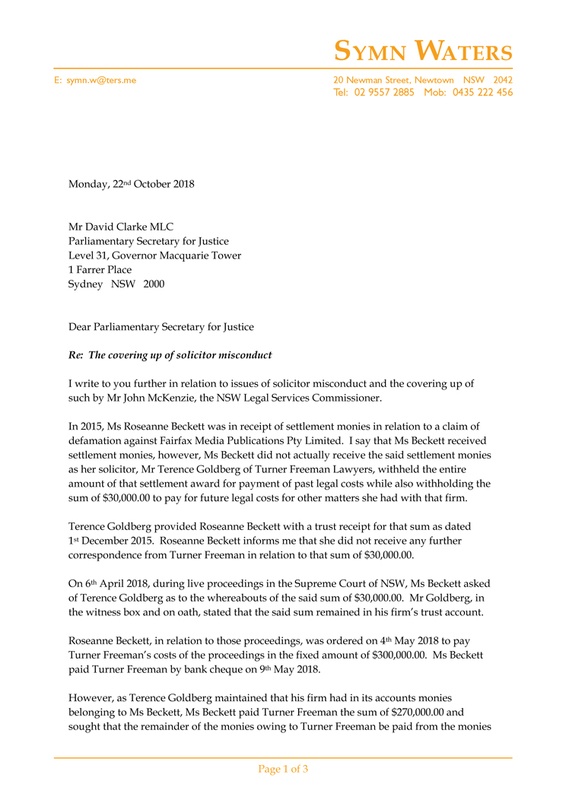 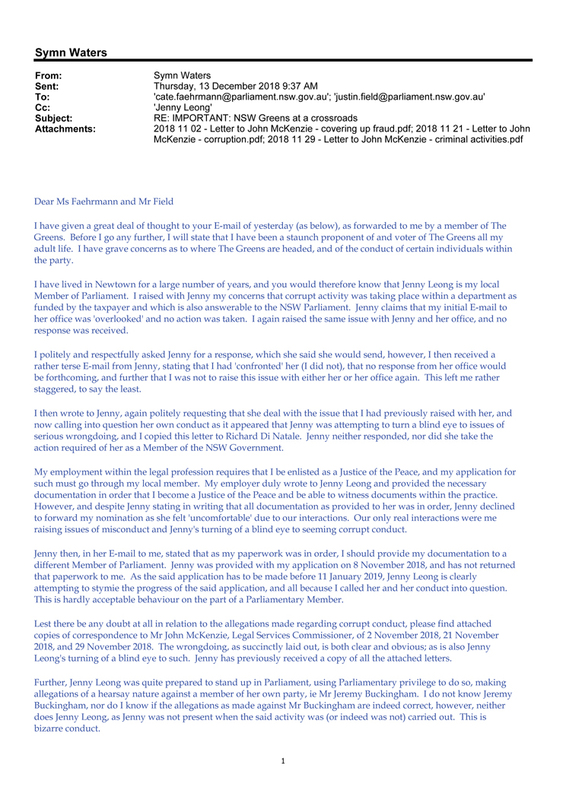 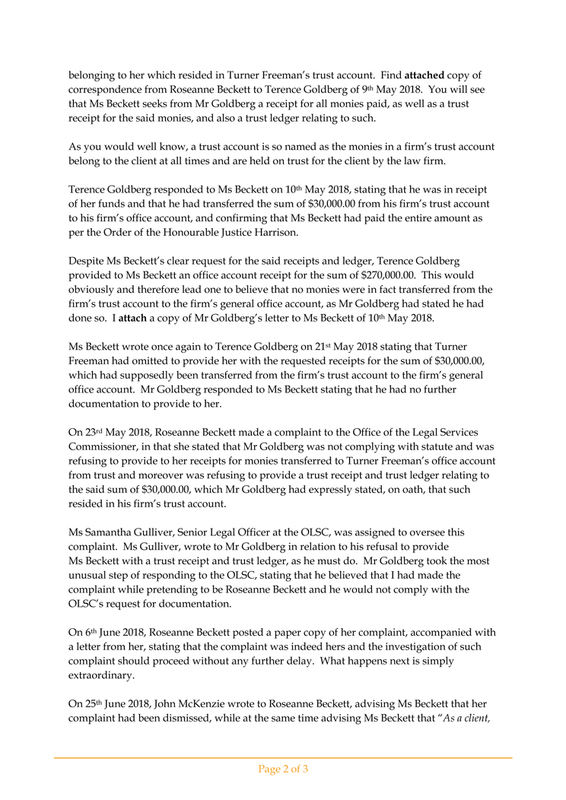 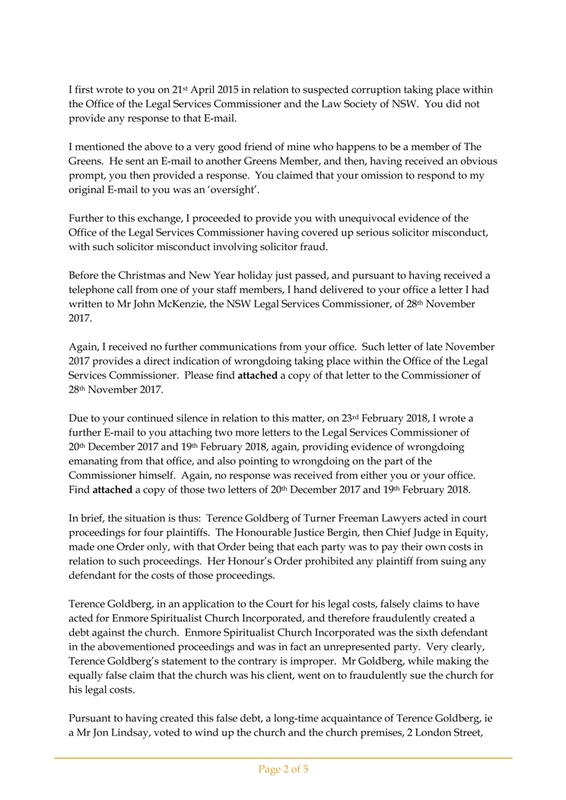 "You wrote to me on 13th August 2013 stating that Terence Goldberg, solicitor, acted for the sixth defendant in Supreme Court proceedings 2009/00291458-001. 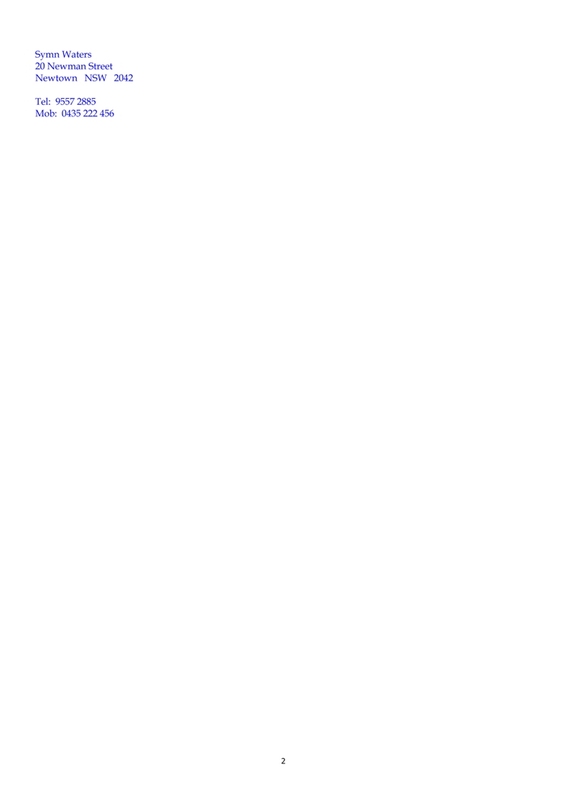 This statement as made by you was, and remains, totally false. 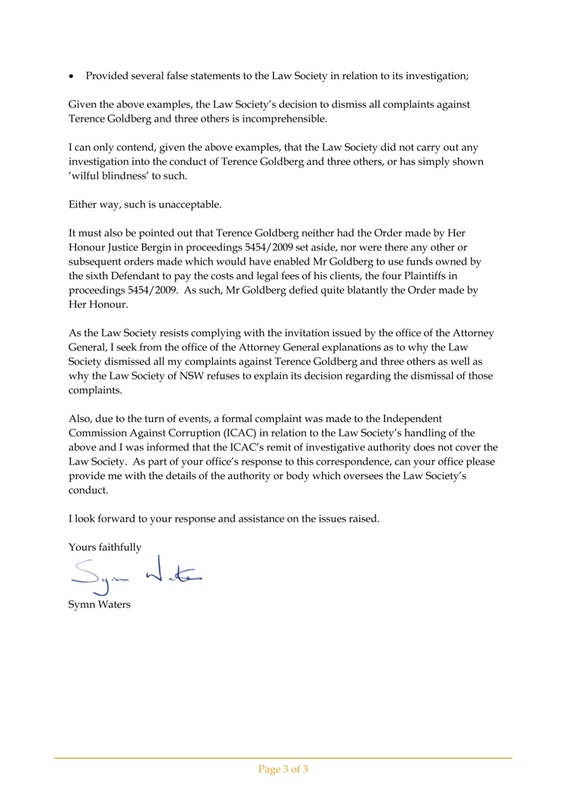 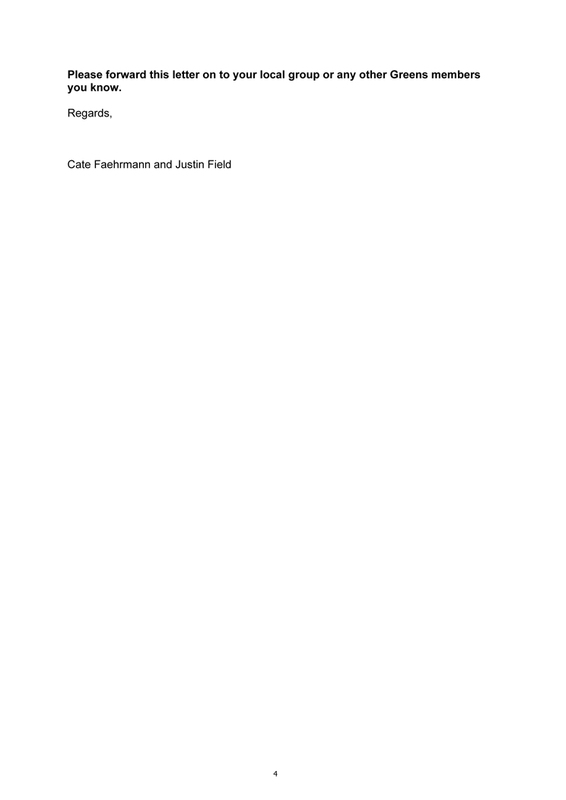 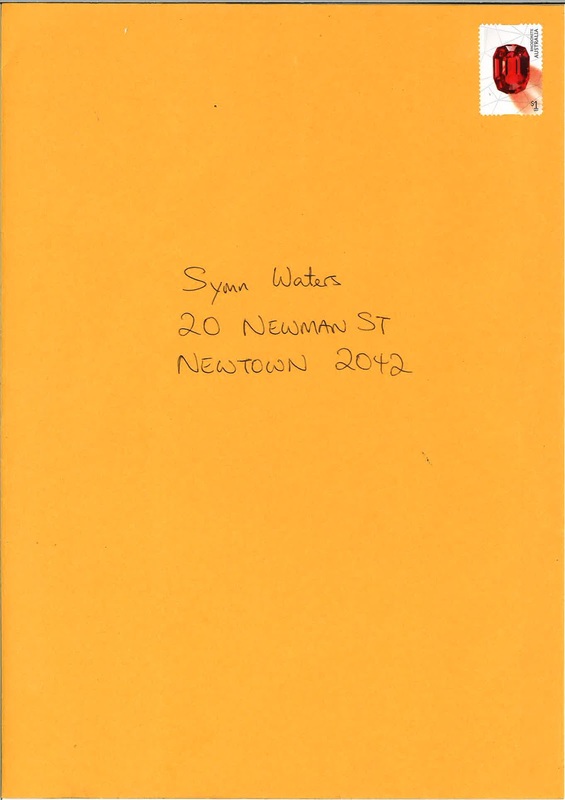 A very simple telephone call to the Supreme Court of NSW can and will ascertain such." 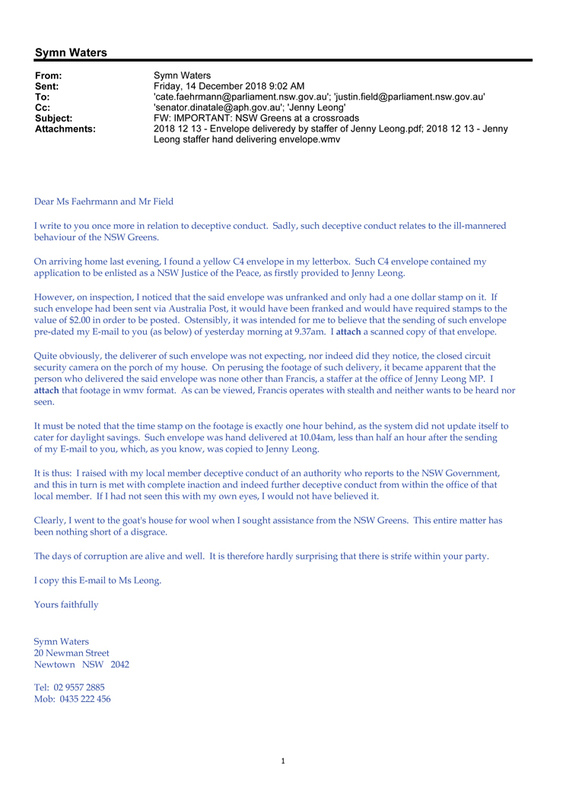 "The question has to be raised why all parties have decided to wrongly claim that no wrongdoing has taken place, when the fraud is both clear and obvious. 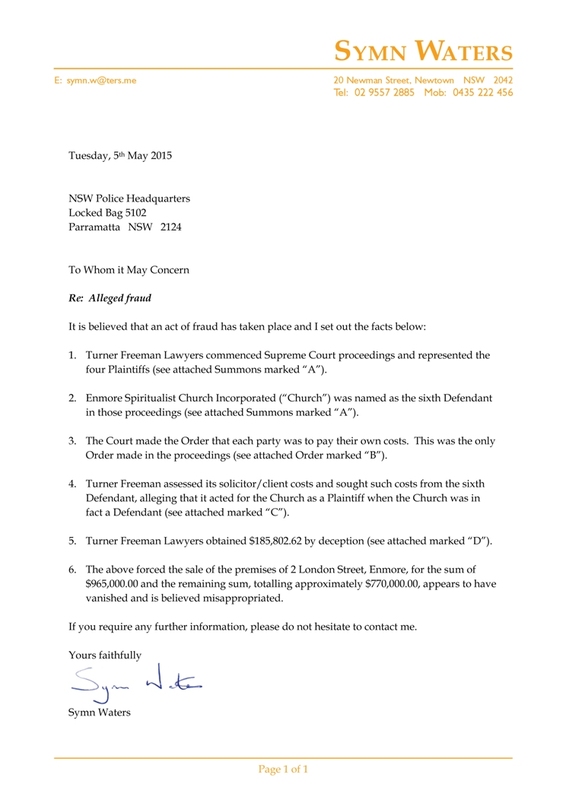 As can be seen, the fraud is quite simple and unsophisticated. 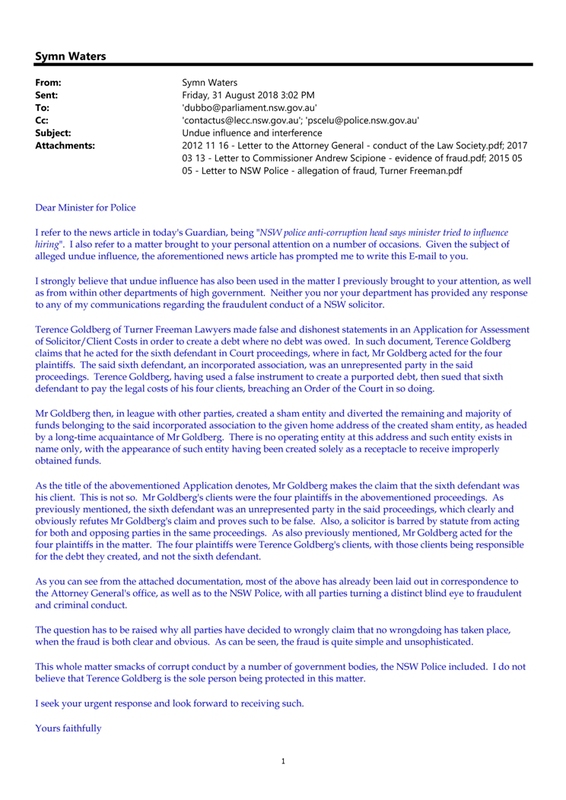 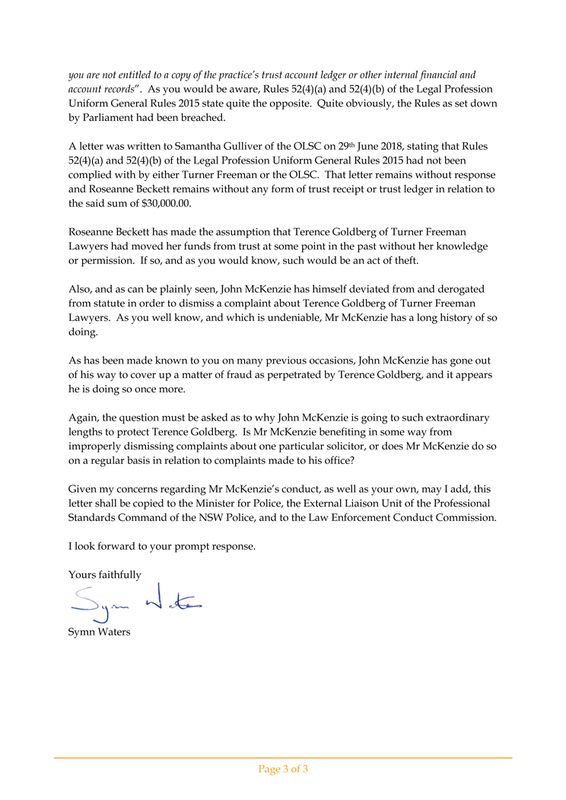 This whole matter smacks of corrupt conduct by a number of government bodies, the NSW Police included. 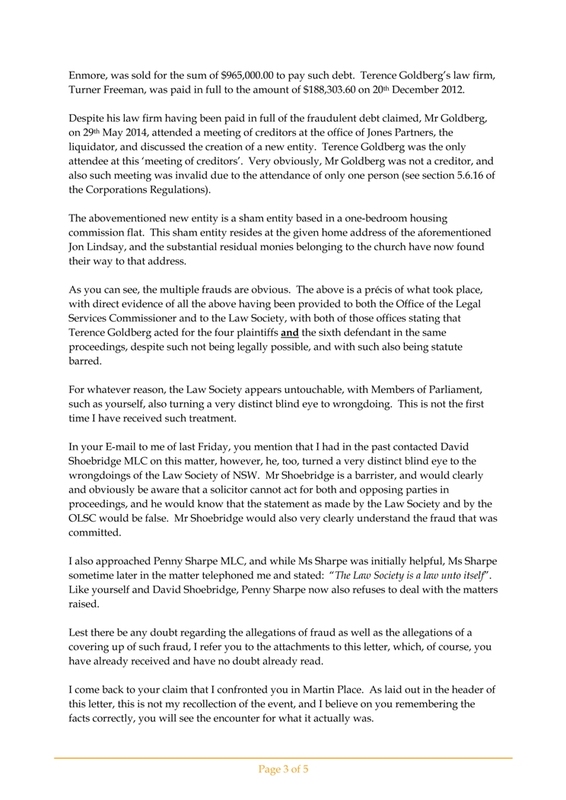 I do not believe that Terence Goldberg is the sole person being protected in this matter." 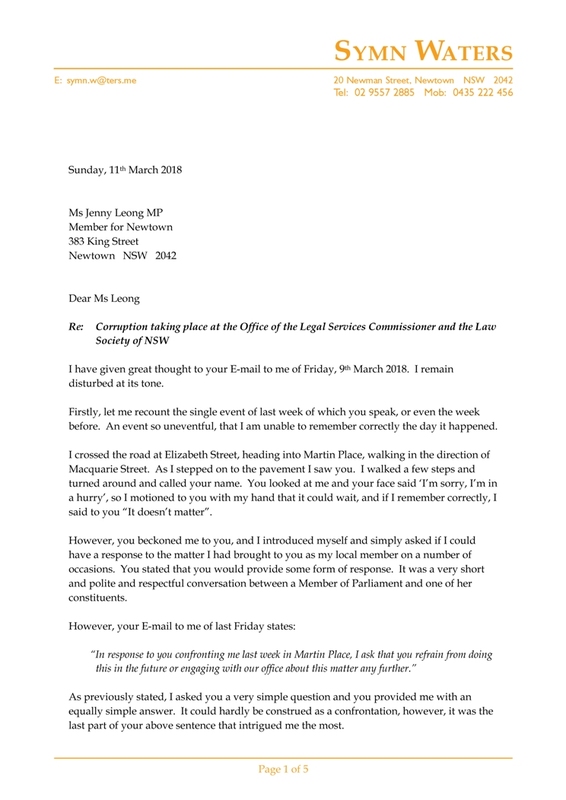 "Also, your asking me to not bring this matter to your office’s attention is simply extraordinary. 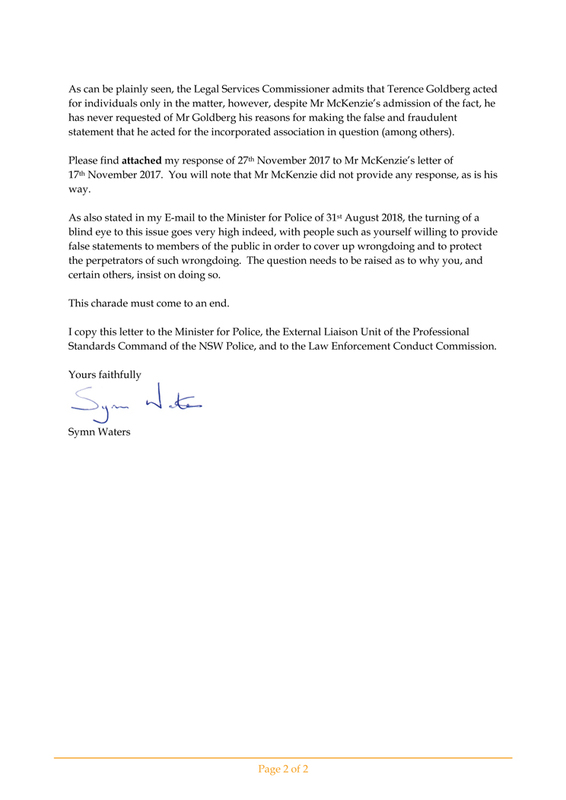 I am your constituent and you are asking me to not bring matters of not only wrongdoing to your attention, but matters of abuse in public office, where the persons carrying out the wrongdoing are being paid by the public purse. 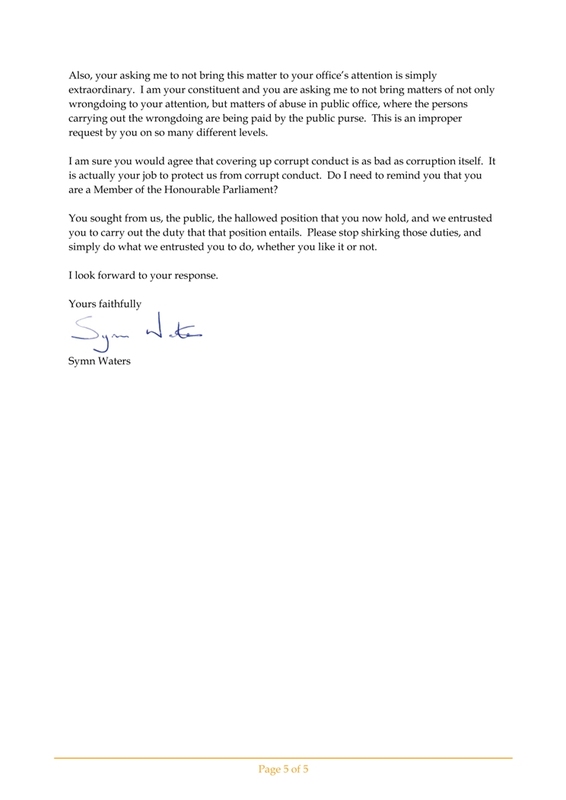 This is an improper request by you on so many different levels."